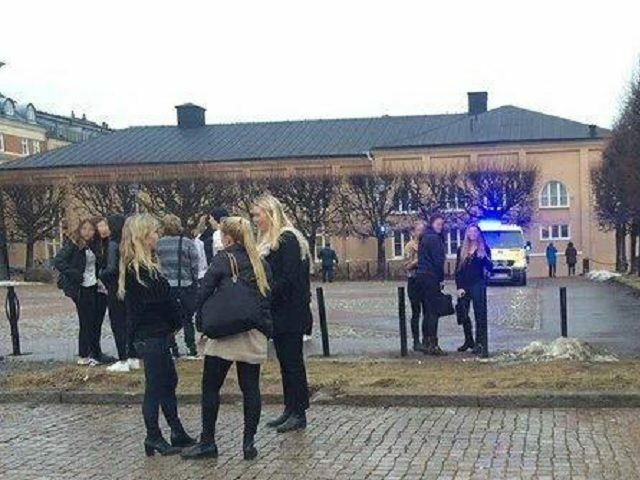 There are reports of a “powerful” explosion at a school in the town of Karlstad, Sweden this afternoon. Local news site Expressen reports that a fire broke out after the explosion and emergency services are on site, although there have been no reports of casualties. Emergency services were on the scene quickly but there was no damage to the buildings, nor evidence of an explosion, the circumstances around which have been described as “strange”. Ola Akesson of the town’s emergency services told the Expressen: “We are on site now and are trying to ascertain what has exploded”. “We have searched through the building and checked the roof. We have not found what caused the explosion”. She added that the explosion could be heard across the city. Pictures and video footage coming out of Karlstad show no smoke coming from the building, nor damage. Fire officers are seen inspecting the building but spraying no water. Metro reports two men wearing “dark clothes” were seen leaving the school shortly before the explosion, and suggests the blast may have been caused by a “firecracker”. 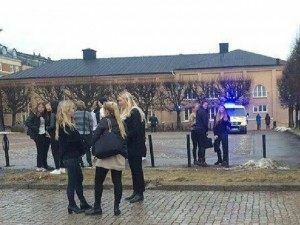 According to Aftonbladet, the headmistess of the school said the blast was “terrible”: “Although I was a good many meters away it shook the whole building. Suddenly running in one of the [staff] cries out that there is a bomb in the sports hall. As we ran the emergency services were already arriving”. 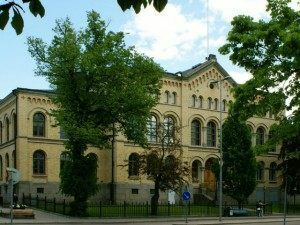 The school is located in Karlstad, a small city in Sweden’s rural hinterland, West of Stockholm.